New York based trombonist James Burton III is quickly earning a reputation as one of the most sought after performers/educators in the jazz community. Mentored by jazz luminaries Jackie McLean and Curtis Fuller, James Burton III has lent his sound to Grammy Award-winning albums and Tony Award-winning Broadway productions. He has performed and/or recorded alongside many great jazz artists, the likes of which include Illinois Jacquet, Gerald Wilson, James Moody, Frank Wess, Benny Golson, Jimmy Heath, Tony Bennett, Slide Hampton, Ron Carter, Christian McBride and others. His credits also include television appearances with pop artists Rihanna, Usher, Lady Gaga, Anthony Hamilton and Demi Lovato. In Addition, Burton has performed with the Ray Charles Orchestra, the Duke Ellington Orchestra, the Count Basie Orchestra, the Lincoln Center Jazz Orchestra, the Village Vanguard Orchestra, the Lionel Hampton Orchestra, the Dizzy Gillespie All Star Big Band, the Carnegie Hall Jazz Orchestra and the Roy Hargrove Big Band. An avid educator, Burton is currently professor of jazz theory at the Juilliard School as well as conductor of the renowned Juilliard Jazz Orchestra. 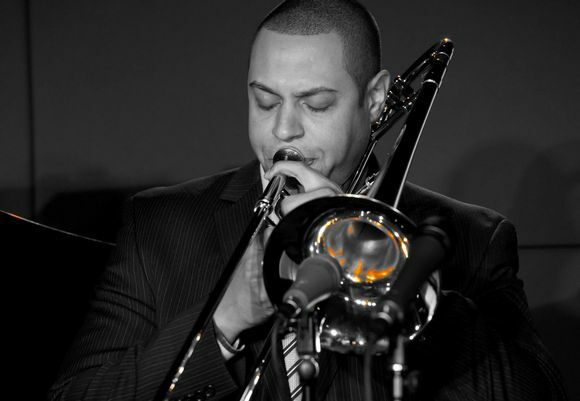 He has served as trombonist/associate conductor for the Jazz at Lincoln Center All Star Orchestra in the Tony Award-winning production After Midnight and played trombone/tuba in the pit orchestra of Broadway’s Shuffle Along, or, the Making of the Musical Sensation of 1921 and All That Followed. Currently, Burton can be heard alongside bandmates Jeremy Pelt, Wayne Escoffery, Xavier Davis, Vicente Archer & Jonathan Blake on a new release for the Sunnyside Record label entitled Black Art Jazz Collective: Presented by the Side Door Jazz Club.